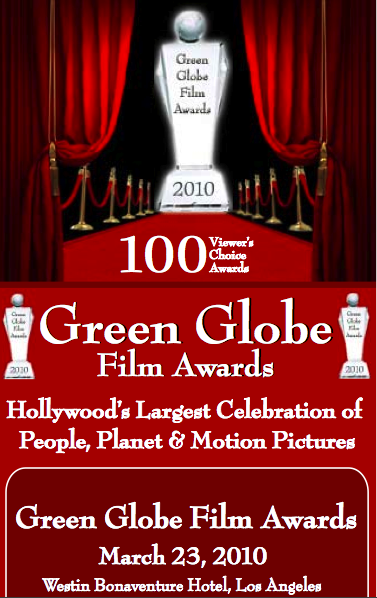 The 2010 Green Globe Film Awards, will feature surprise performances by Hollywood's and Asia's leading entertainers and will be one of Hollywood's largest film award programs with 100 Viewers' Choice Awards being selected by film lovers, critics and movie viewers from around the world. The Awards will be presented during the March 23rd dinner gala at the Westin Bonaventure Hotel's California Ballroom in Los Angeles. The Bonaventure was selected for its immense size and capacity to host the largest dinner gala of any hotel in the state, as well as its history of being one of the most sought after movie locations for filmmakers endeavoring to present Los Angeles in a modern and elegant setting. 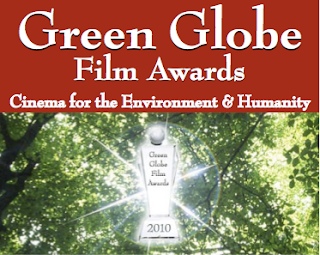 Philippine premier film actress Nora Aunor is nominated for the 10 Best Asian Actresses of the Decade Award (2000-2009) in the 2010 Green Globe Film Awards. Aunor is shorlisted along with other Asian greats like Maggie Cheung, Gong Li, and Ziyi Zhang. Other Viewers' Choice Awards will be selected by film lovers, critics and movie viewers from around the world. To commemorate 2010 special Awards of the Decade will be conferred in various categories including Best Picture of the Decade, Best Director of the Decade, and many others. As this year's International Film Category Theme is "Asian Films", Asian films of all genres will be honored.